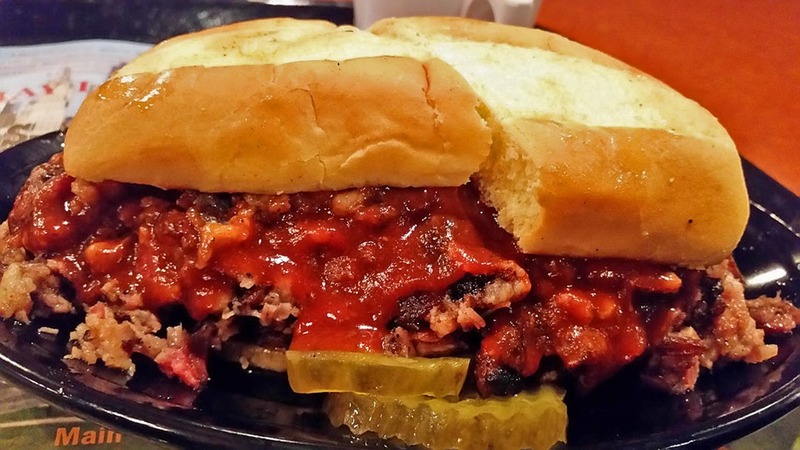 Kansas City is best known for its distinctive barbecue–they take it very seriously. Real smokehouses, a tomato-based sauce thickened with molasses, and featuring burnt ends as their specialty, KC is one of a handful of places in the U.S. where you can earn a barbecue Ph.D. if you’re so inclined. Is there a higher aspiration? Truth be told you can really find lots of different styles of barbecue here, from Carolina pulled pork to Texas brisket, but why eat those interlopers when you can have the real deal? 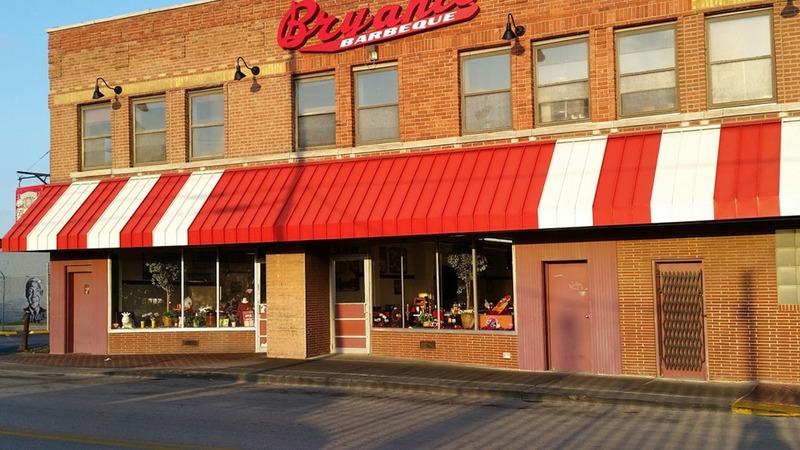 During my recent visit to KC, after a hard day of wine tasting, I would seek to earn credits toward my degree by seeking the best barbecue in Kansas City with a special focus on burnt ends. But it turns out there are really two styles of KC barbecue and several sauce options. Some restaurants serve a traditional style that apparently hasn’t changed much in 50 years. Others serve what is known as competition barbecue which grew out of barbecue competitions where creativity scores points. The counterman just pushes them over to the side and anyone who wants them helps himself. I dream of those burned edges. Sometimes, when I’m in some awful, overpriced restaurant in some strange town, trying to choke down some three-dollar hamburger that tastes like a burned sponge, a blank look comes over me: I have just realized that at that very moment, someone in Kansas City is being given those burned edges free. Trillin was an influential food writer, so the endorsement of burnt ends as a delicacy was sufficient to make it Kansas City’s iconic dish and putting Kansas City on the food map. Needless to say, the burnt ends are no longer free. For the uninitiated, burnt ends are the crisp, charred, fatty ends of the brisket, too short for slicing, that are chopped into chunks and doused in sauce, returned to the smoker for more flavor, and usually served on bread slices. Truth be told, the demand for burnt ends is so great they are no longer made exclusively from the well-marbled “point” muscle but are cut from the whole brisket. The key is they must be both crusty and fatty—it’s a texture thing. But burnt ends aside, Kansas City is one of those places in the U.S. where the differences between grilled meats and barbeque is a catechism. You grill if you cook meat quickly over a direct flame. By contrast, barbecued meat is cooked very, very slowly over an indirect, wood-stoked fire, allowing that wood smoke to deeply penetrate the meat. If it’s not smoked, it’s not barbecue. Any restaurant that doesn’t get the difference will be laughed out of town. It is alleged that Kansas City’s 100 or so barbecue joints in the Metro area constitute the largest concentration of barbecue in the country, although locations in Texas or Kentucky might dispute that. Unlike Texas, where barbecue sauce is often optional if not frowned upon, the sauce is essential to Kansas City barbecue. The traditional dry rub tends to be simple—pepper, salt, sugar, and garlic—with stylistic differences focused on the sauce. Most folks of the carnivore persuasion know about Kansas City Barbecue Sauce thanks to the ubiquity of Kansas City Masterpiece found everywhere on supermarket shelves. But genuine Kansas City sauce is more complex. Most restaurants offer a sweet, thick, tomato and molasses-based sauce. But Arthur Bryant’s original sauce was vinegar-based and less viscous as was the original sauce from another iconic brand, Gates Barbecue. It’s the thinner more savory sauce that is historically more authentic. Today, most restaurants offer several styles ranging from thin, sour, and spicy to sweet and sticky. 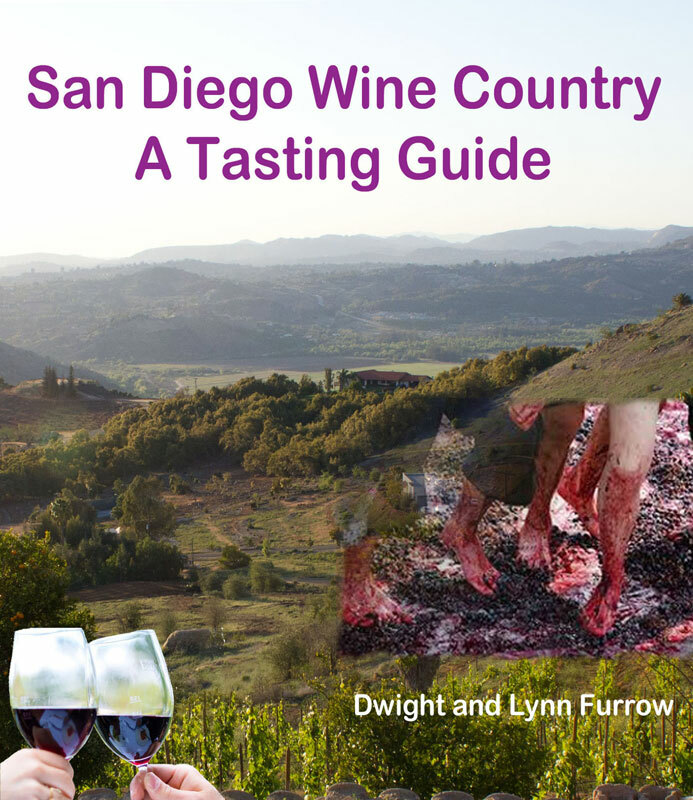 As to current trends, for the past several decades, the barbecue scene has been influenced by competitions where chefs try to present something distinct and innovative in order to attract the attention of judges. Better cuts of meat, the use of babyback ribs, more complex spice rubs, and new sauce recipes have made Kansas City a genuinely eclectic barbecue town incorporating influences from the other U.S. barbecue styles. 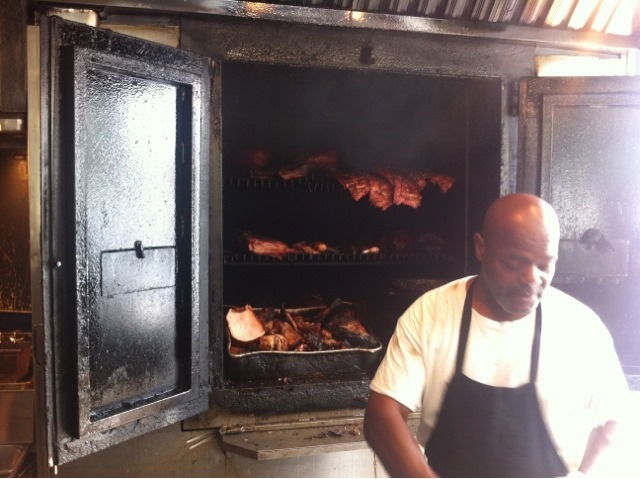 I didn’t visit all 100 barbecue joints in the week I spent in KC, but eight isn’t bad. (Yes. I did get tired of barbecue, a condition that lasted about a week.) Here’s the list in roughly my order of preference. You come to KC for the burnt ends, and Gates’ burnt ends top my list. They had the best ratio of crispy burnt pieces and soft, fatty, succulent pieces, all well distributed on the hoagie roll. Their traditional sauce was savory, not too sweet, and also among my favorites. The only problem was their ribs are overly salty. Housed at the end of an old gas station (pictured above), Joe’s has acquired a great reputation with a line out the door if you go at lunch or dinner. I went at 4:30 to avoid the crowds. They made their reputation by winning competitions, so Joe’s represents the new school of KC barbecue. Burnt ends are served only at lunch on Tuesday and Saturday so I didn’t get the opportunity to try them. The brisket was very smoky and tender with a layer of fat to keep it moist. Fall-off-the-bone ribs with great bark and a complex rub with sweet and savory elements make them stand out. Joe’s original sauce was sweet and spicy, very well balanced, and they offer several unusual menu items such as the Z-man sandwich ( brisket, provolone cheese, and onion rings with sauce on a Kaiser roll)and Kansas caviar, a tangy salsa of fresh vegetables. Yup. Health food at a barbecue joint. Go figure. We’re back to old school here. You enter this dark, smoke-filled den wondering if there might a fire in the backroom that the staff hasn’t notice. The burnt ends were thick hunks of meat, some fatty, some dry, with a little bark that lacked crunch. That’s probably because they open the door of their smoker occasionally and spray it with a garden hose. The sauce was a balance of sweet and peppery and the beans were outstanding with bits of burnt ends in the mix. The icon is still going strong with their original downtown location and one at the Speedway. Their burnt ends have plenty of flavor but are too dry. I love their paprika-laced original sauce, and the fries are to die for—I imagine they’re cooked in lard. 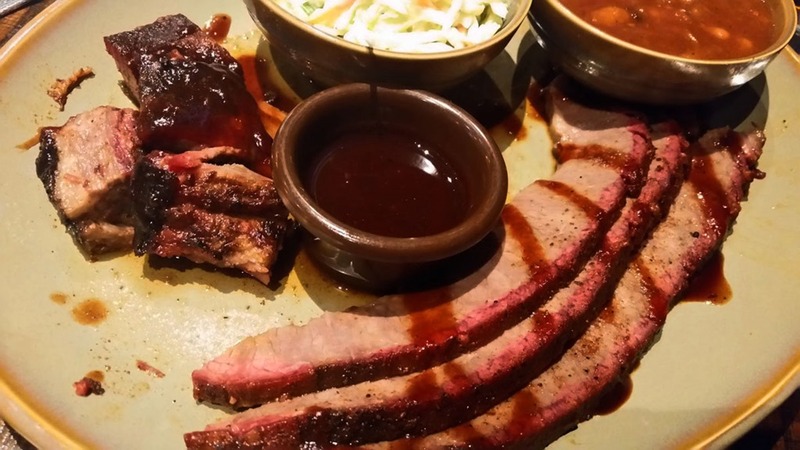 Upscale, competition Barbecue with full table service, and a complete bar. The bar is a feature for me since the only beverage that really, really works with sweet barbecue sauce is Kentucky Bourbon. The brisket and burnt ends were fine but didn’t jump out as extraordinary. They have an interesting menu; I regret I wasn’t able to try their smoked, fried chicken. Out back is a wood yard that supplies wood for other barbecue joints in town. 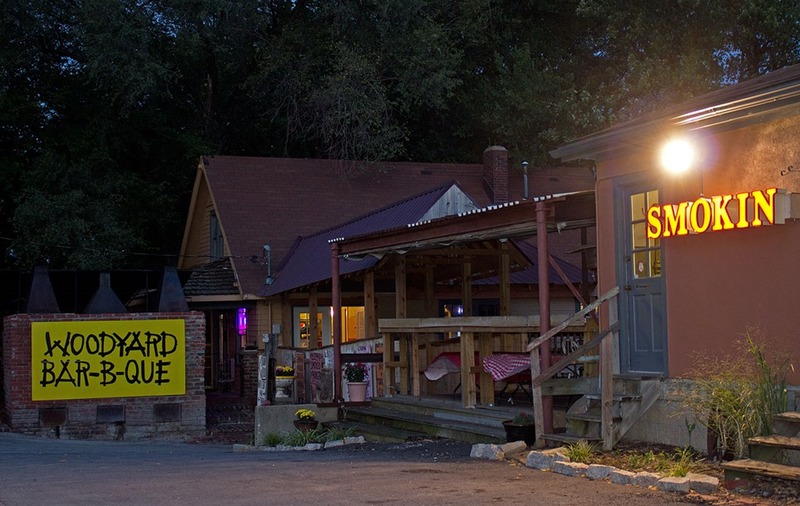 This place has a great funky vibe, a nice rub on their ribs, and great house made sausage. I include Tin Kitchen on the list because it’s outside the city near the airport in the charming, small town of Weston. Very good barbeque if you’re north of the city. 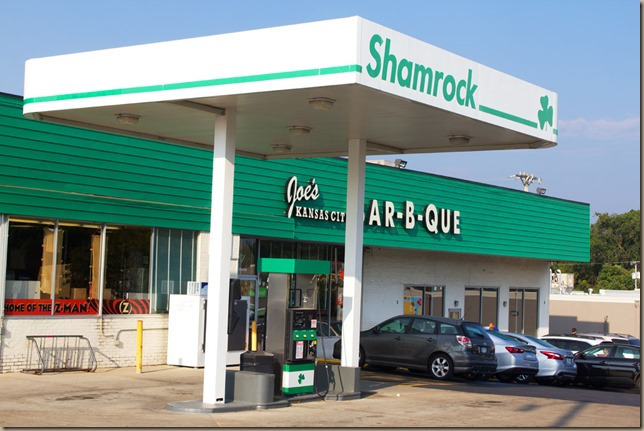 With several locations around Kansas City, this full service restaurant has a corporate feel but the barbeque is quite competent. The offer pork and lamb ribs, “sausage burnt ends”, and have a mail order service if you live in the diaspora. Cross posted on Edible Arts on 12/11/2017.